Life is full of oxymorons. Little things please me. Starters in delightful little spoonfuls. 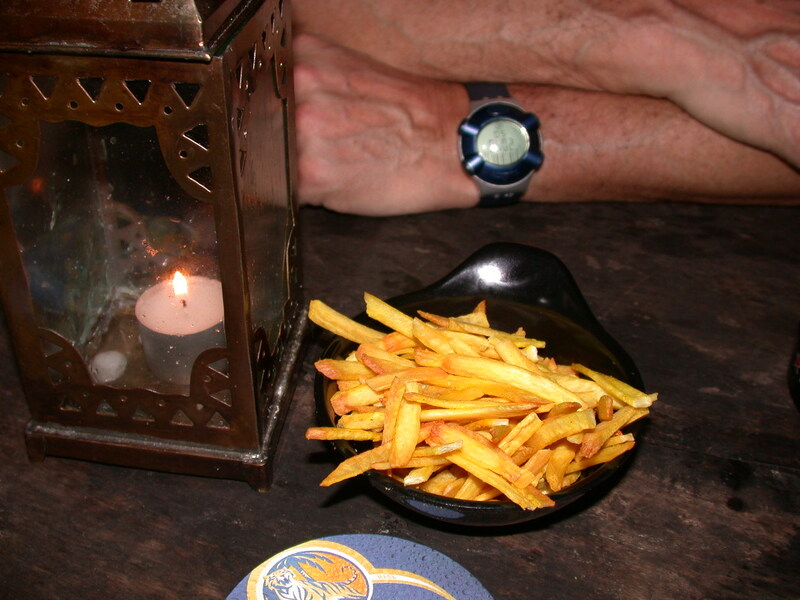 Main courses in starter portions. Miniature crockery and cutleries. Diminutive but lush cakes. Amuse bouche or dianxin, if it comes in dainty, delicate proportions, my appetite is invariably peaked. Yet, some of my greatest disappointments have come from the word “Little”. Now scrub your dirty little minds, you pervy lot! 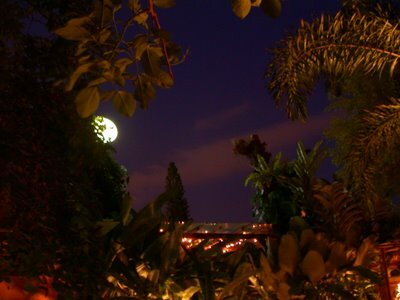 My mother took me to Thailand when I was a child and we visited Little Siam. Expecting all the wonders in the world encapsulated in tiny models while “It’s a Small World After All” bubbled forth into the airwaves, I was sorely dismayed at the few, rough waist-height attractions. It took me all of 15 minutes to view them all. Extremely let down and sulky, I planted myself in a corner to read a science fiction book to transport me away from the limp tourist trap of plaster and paint to a the magical world spun from paper, ink and the imagination of Arthur C Clarke. Since then, I have always been wary of any place with a titular “Little”. With the exception of Little India - the colours, the spices, food and rustic vibrancy of this enclave of rich culture never fails to uplift me. Still, time and age dulls the memory. A visiting friend requested that I meet him for dinner over the weekend. His requirements were fairly challenging. Constantly trapped in hotels or planes, he wanted to dine al fresco and preferably near the river but without the madding crowds that these locales usually attracted. Now, anyone who has been to Singapore would know that that is some tall order. 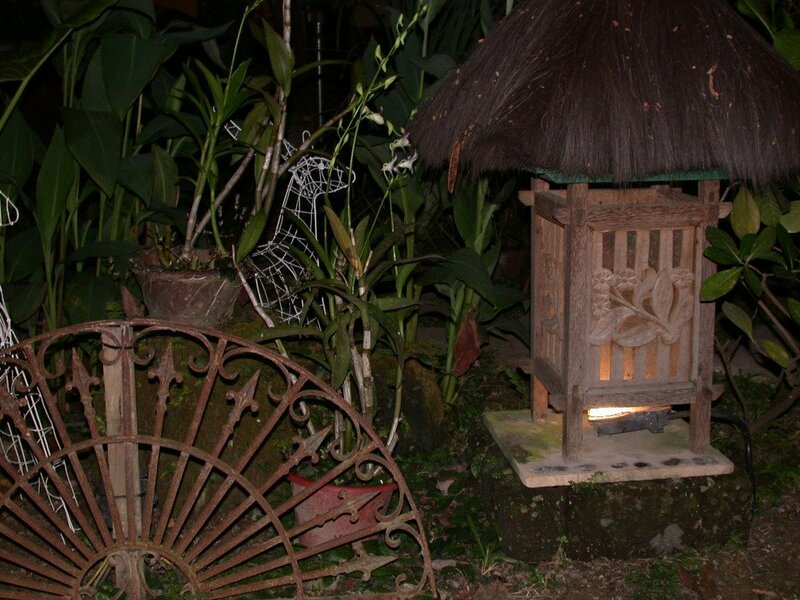 In the end, in a fit of inspiration, I remembered Little Bali at Gillman Village. So-called because it is a miniature islet of Bali planted in a premium residential district of Singapore. My first visit to Little Bali was with a huge crowd to investigate this lush, verdant rainforest hiding a little Indonesian gem of an eatery. The décor was absolutely captivating. Tropical greenery, tinkling water fountains, reproduction Javanese wall carvings and statues, and solid and intricately carved wooden furniture interlace and entice you gently into the most romantic and man-made, "natural" backdrop. I was very taken with the ambience. The balmy breeze was gently enhanced by antique-reproduction, standing fans. The blue skies artfully framed the luxurious foliage and reproduction stone pagodas juxtaposed incongruously against the high rise condominiums of suburbia Singapore. The service was dubious though. The place was teeming with waiting staff but none of them seemed to know which end was up and with the spreading layout, they kept getting lost or just forgot the orders! It was a travesty and the only thing keeping diners from throwing hissy fits was the fact that all the waiting staff were painfully nice and apologetic. The second time at Little Bali was for a wedding. It was hot, crowded and chaotic with every inch of this little tropical paradise over-run by fluttering or tight gowns, hyperactive children and sweat-stained morning coats. I remember making a note that the wide spread of food was inconsistent in quality. For some reason, I forgot about the food quality issue and only remembered the glorious setting when I recommended Little Bali as a dinner venue on Sunday. Which is telling. 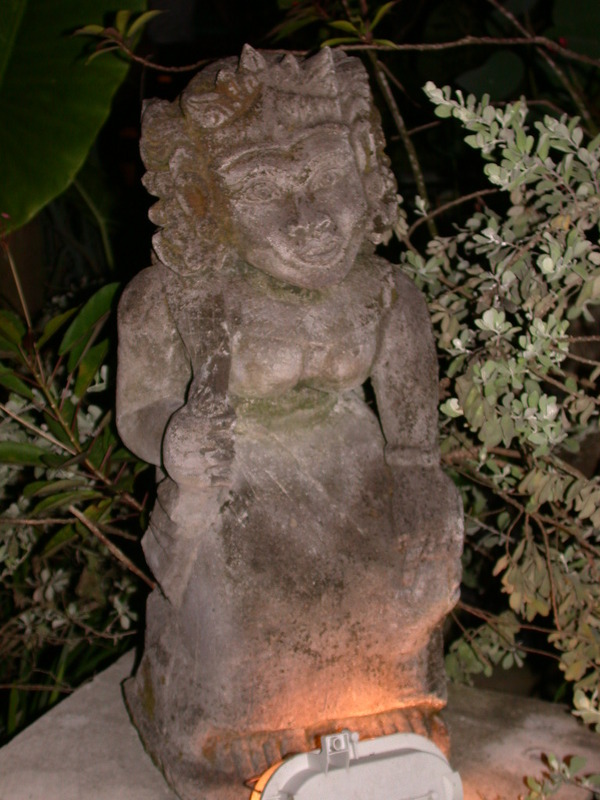 Little Bali’s charm and competitive edge derive exclusively from its picturesque appeal. Couples seeking romance and expatriates seeking to relive their backpacking or resort experiences in Indonesia flock to this restaurant. Dining in a place like Little Bali is best experienced among the lush tapestry of the garden instead of under a wooden pavilion, albeit with a gurgling water feature. My dinner companion and I were shown to a table flanked by a two-seater and two planter chairs. All very lovely except that the ceiling was low enough to give you claustrophobia even though you are outdoors. Worse, our table was one of 6 clusters so compactly positioned that we could have been dining with the couple to the right of us as well. With all that gorgeous real estate, it was shameful that Little Bali would try to expedite their own serving needs by huddling diners into tight little ghettoes instead of allowing us to enjoy the wonderful outdoors. It completely defeats the purpose and concept of this dining experience. When I requested for a more open table canopied only by the abundant plants, they informed me there were none. Standing up, I managed to spot at least 3 in our immediate vicinity. Being a DIY-type chick, I moved ourselves to a more idyllic spot. Sensing a trouble ahead, no one hindered me. It’s all very romantic with the subtle down lights and the single, candlelit lamp at the table … except it was so dark, we were hard pressed to read our menu. My dinner companion, M, and I had to squint and almost use our mobile phones to shed light on our menus. Not that there was much to read. 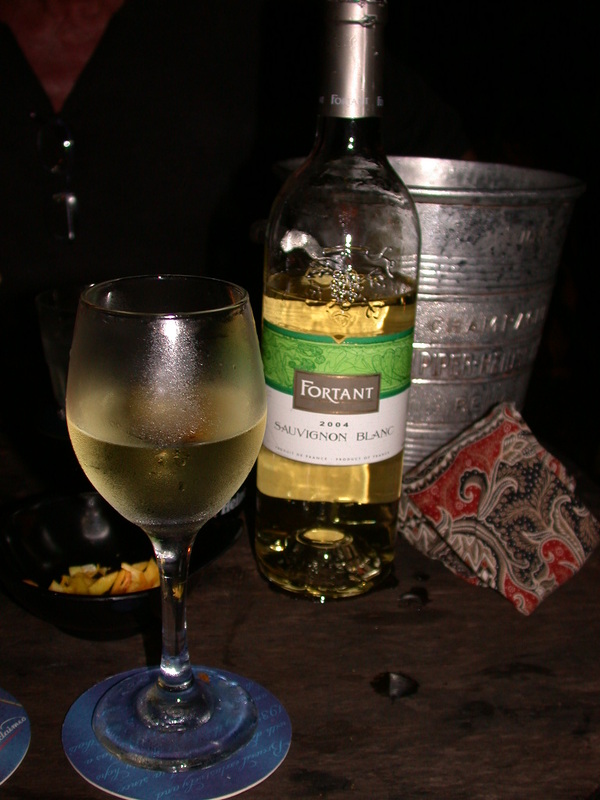 While the only printed and "bound" menu was the wine menu, which was falling apart as I tried to read it, the food menus were definitely basic. White sheets printed and laminated with a distinctly home-made feel, one could only assume that they were trying to recreate the simple Balinese dining experiences before it became a tourist haunt. The food selection is certainly eclectic. I found the mixture and choice of Indian and continental cuisine rather uninspired, uncertain and an uneasy marriage. Why did they not serve Indonesian cuisine or at least some Asian fusion-inspired delights? The Indian selection, though dominant, was limited and the continental selection was even more so. Everything seemed to be either tandoori or wraps with some very heavy North Indian dishes (which I was not keen on that night) as a bizarre nod to its Asian concept. Or it was a thin choice of a few pasta and hot dog dishes. The disappointing menu is well matched by the scant wine selection. To offer only 3 white and red wine selections is beyond criminal to me. And these were table wines too. 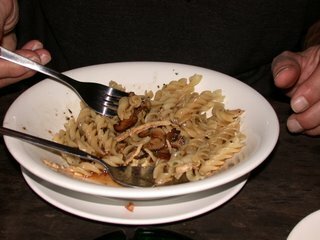 M is not an Indian food enthusiast and being Swiss-Italian, he opted for the chicken and mushroom fusilli. I decided to give the larger Indian menu a chance and ordered the “herb and mutton” kebabs starter. 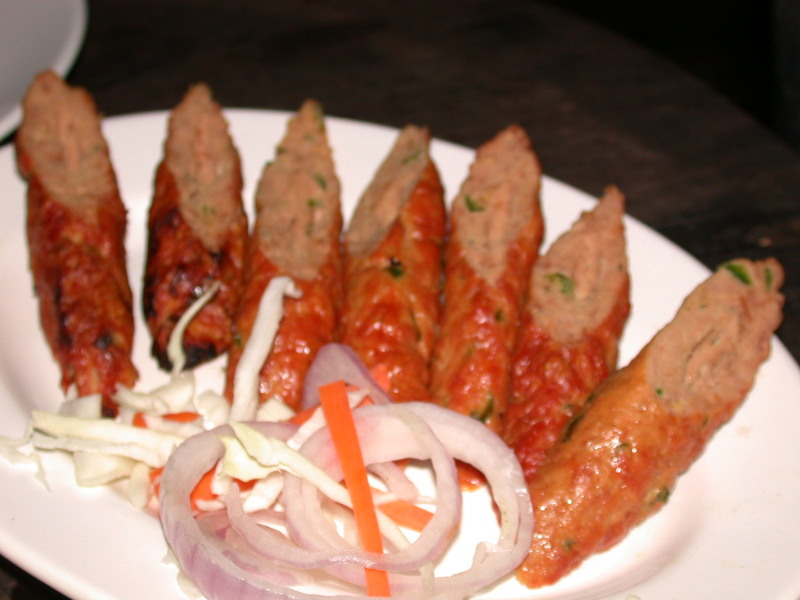 When my kebabs came, my heart and appetite sank. The lurid orange glowed unnaturally even in the dim candlelight. The vegetables were valiant little garnishes but lacked the substance to defend the integrity of the dish. Worse, there was no condiment of any sort to go with the kebabs. It was as parched as the Sahara desert. The dismal service, helpful and polite though they are, was once again in evidence. When the server brought my kebabs, he placed three other dishes on our table. None of which were M’s pasta. Bringing and placing a plethora of dishes which are not meant for us while omitting to bring those that are, is a crime punishable by flagellation in many restaurants I know. By the time they brought M’s pasta, we had started on the kebabs. I promptly lost my appetite for dinner. The kebabs were as dry as sawdust, lacked the proper combination and amount of spices to give it any depth and had the tough, rubbery consistency of a Goodyear tire. What I found interesting was that when I complained that the kebabs were too dry, the waiter did not look surprise and immediately offered up the choice of raita to make it palatable. I barely ate 3 pieces before I decided that I had abused and insulted my taste buds sufficiently. M fared a little better. Being the consummate nice guy, his only comment was that it certainly was not Italian but at least it was fairly tasty. The chicken and mushroom fusilli sloshed with an abundant sauce of olive oil, garlic, chilli flakes and … is that soy or nam pla?? Definitely an Asian noodle dish, it was slightly over-salted but as M said, fairly tasty. Our dinner thus far was so mediocre and lacking that we decided to forego the rest of the meal, choosing to enjoy our mediocre plonk in the superb surroundings. I took the opportunity to take some photos, some of which will highlight to you exactly how dimly lit the place was. While waxing lyrical about religion, food (but of course!) and work, M noticed the rich purplish orange hue of the twilight sky and I quickly took a shot with my massive, old camera. Sadly, that was the highlight of our dining experience at Little Bali. 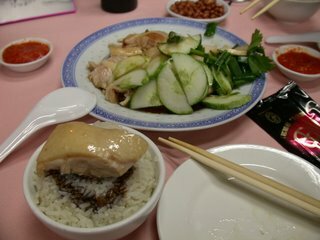 Once the wine was gone, we hastily departed … to have chicken rice at Boon Tong Kee. It is a pity that such glorious landscape is not matched by the food and wine. I love the concept and ambience of Little Bali and I certainly hope it stays on Singapore’s culinary map for a long time to come. However, with such dismal cuisine and clueless service, this may be wishful thinking. 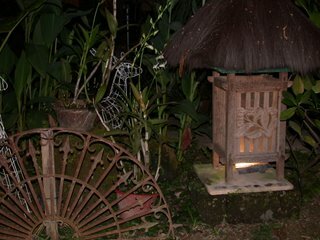 Little Bali really should not rest on the laurels of its décor. Failing to bring its food and service to par will inevitably lead to its death knell in Singapore’s competitive restaurant business. 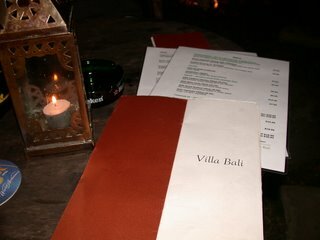 I give Little Bali a 10/10 for its beauteous setting, a 6.75/10 for its service and a 4/10 for its food. If you believe me to be wrong (although I seriously doubt it unless I truly can be three times unlucky), visit Little Bali at Gillman Village, Locke Road or at http://www.littlebali.com/index.htm. Remember to pack a cheese sammich with you. Bea - Thanks! And I know what you mean .. so many places, so much food, so little time & money! LOL. Hey J! I know! The number of times I've crawled there in the wee hours looking for salvation!